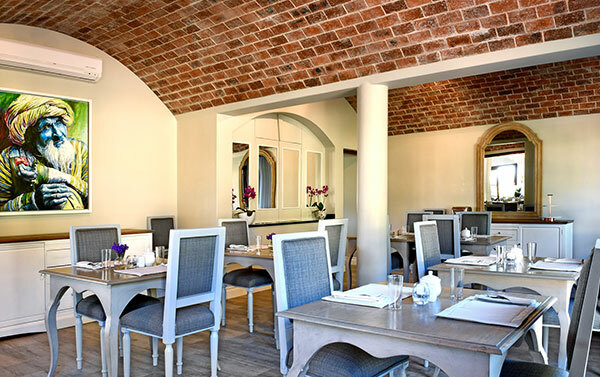 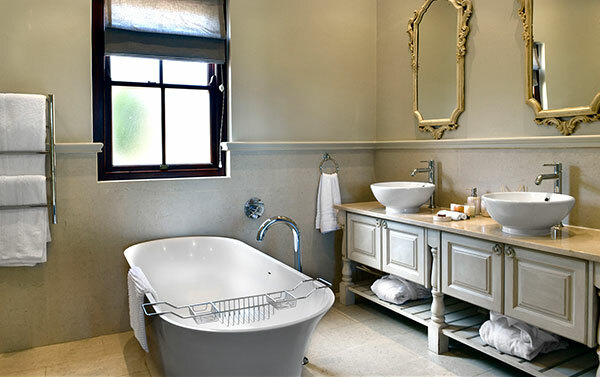 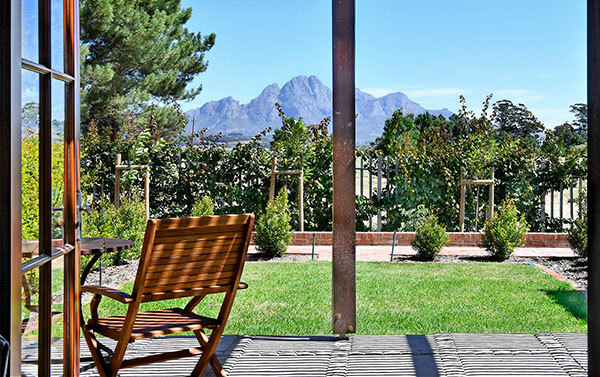 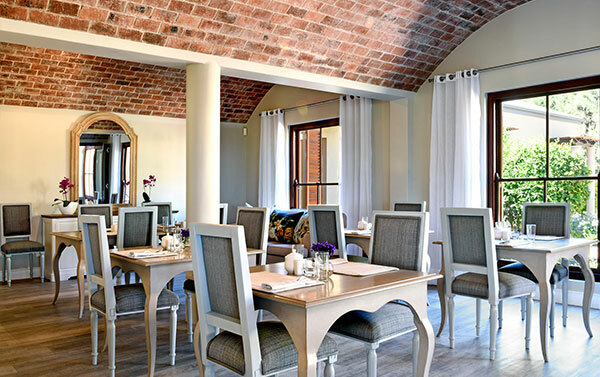 Escape to Franschhoek in the Cape Winelands, also known more commonly as the food and wine capital of South Africa. 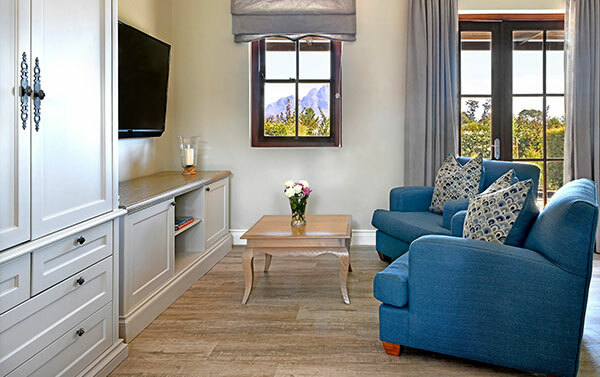 Come and experience the vast mountains, peace, and quiet and all from the comfort of your own beautiful suite. 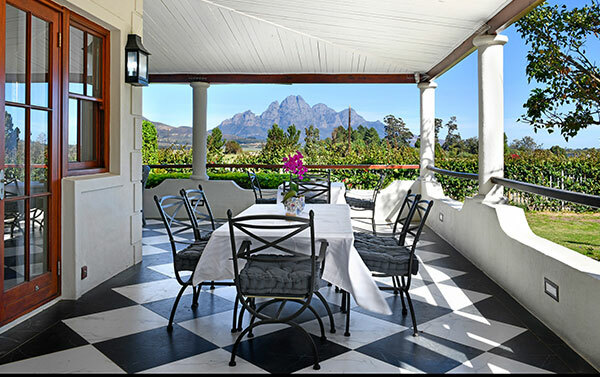 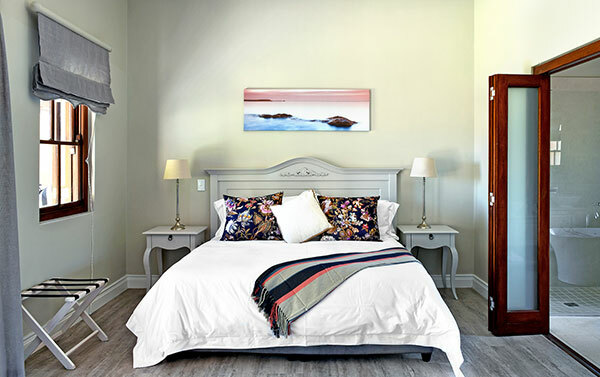 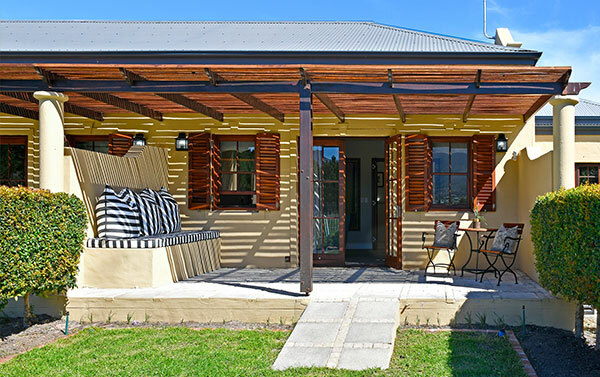 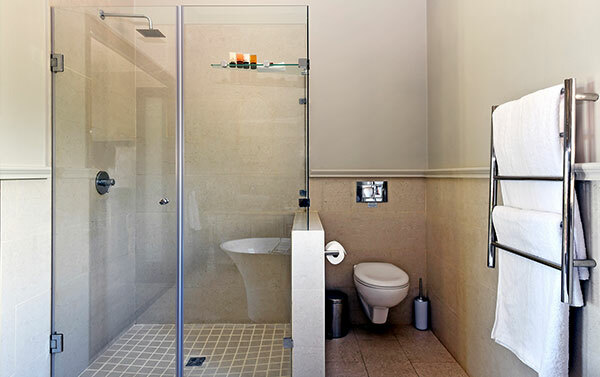 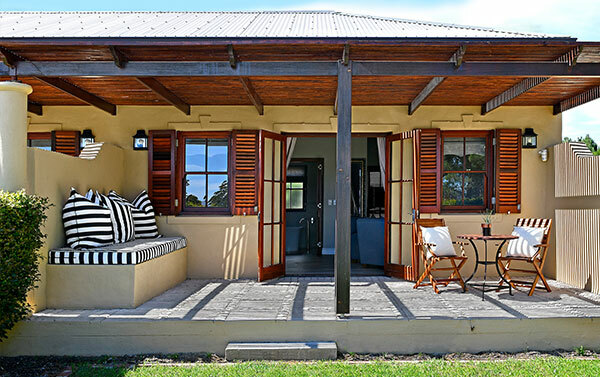 Our accommodation boasts breathtaking views, private entrances, and patios as well as quality furnishing throughout. 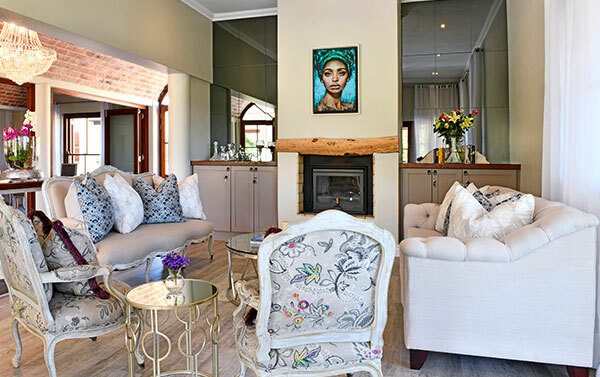 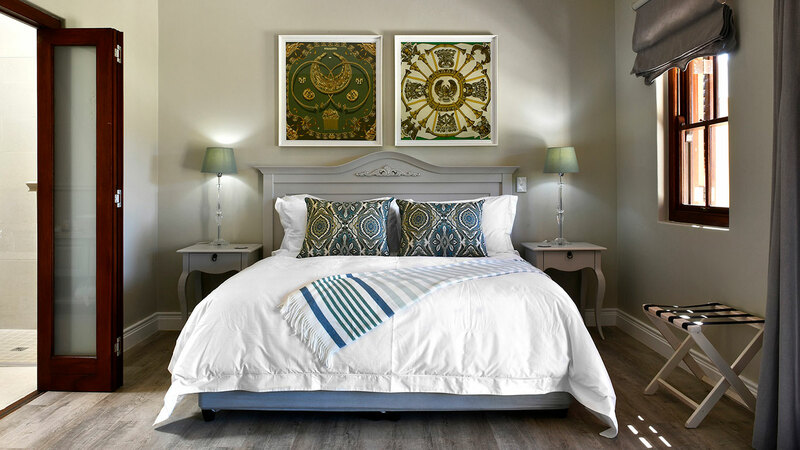 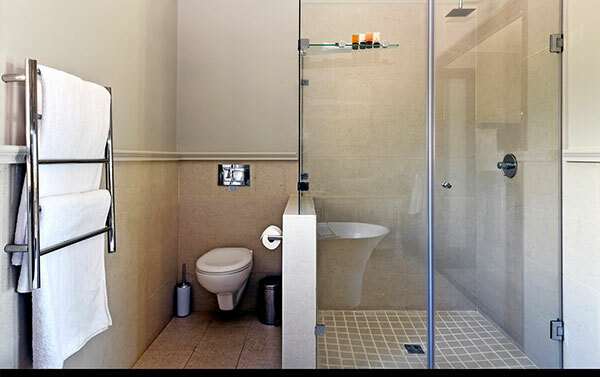 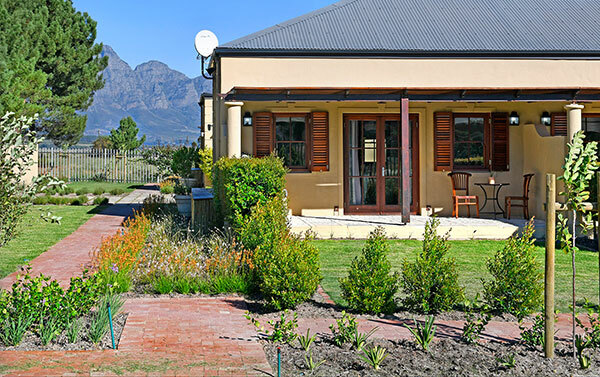 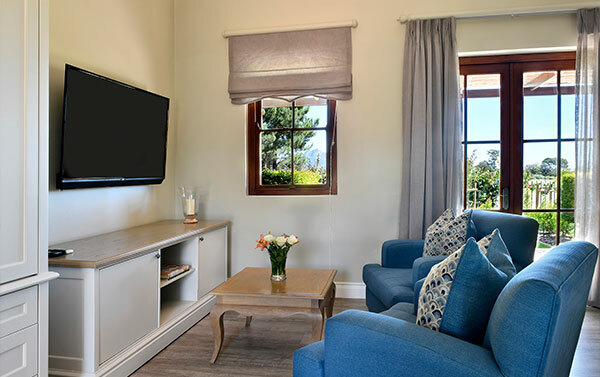 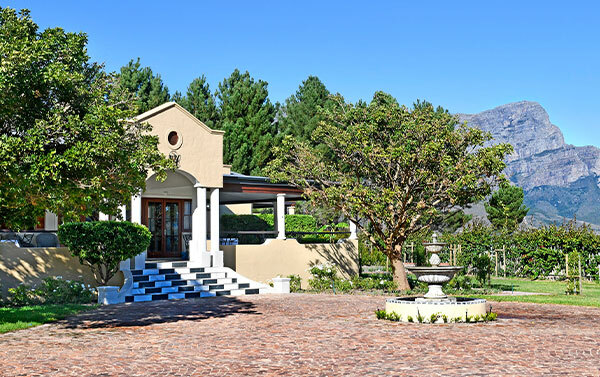 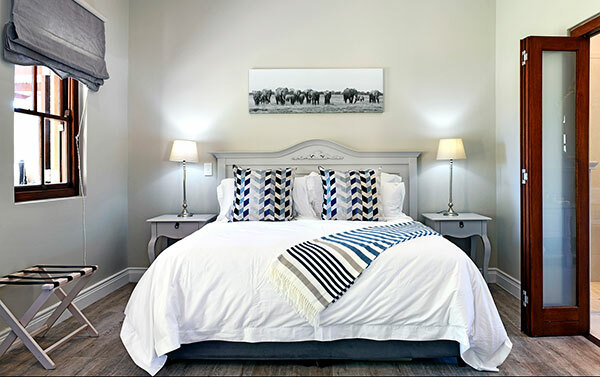 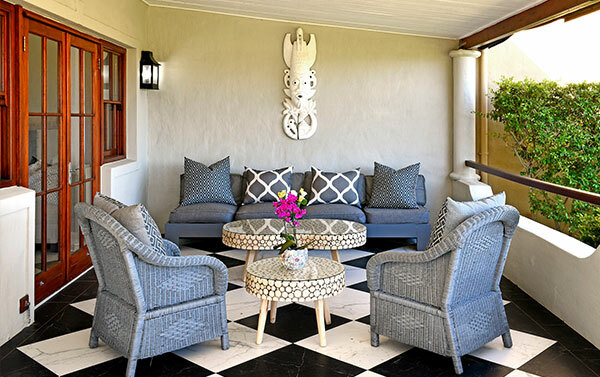 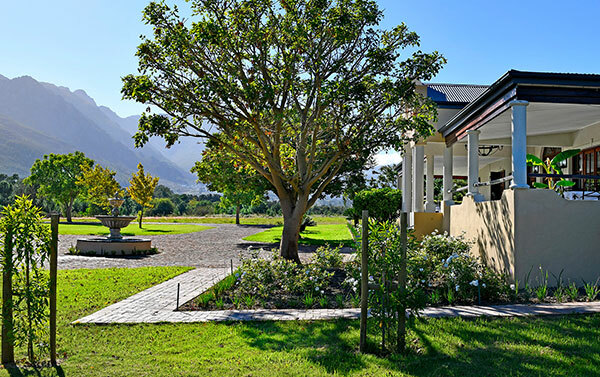 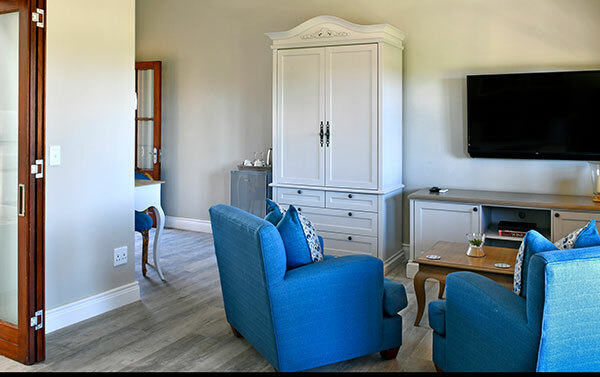 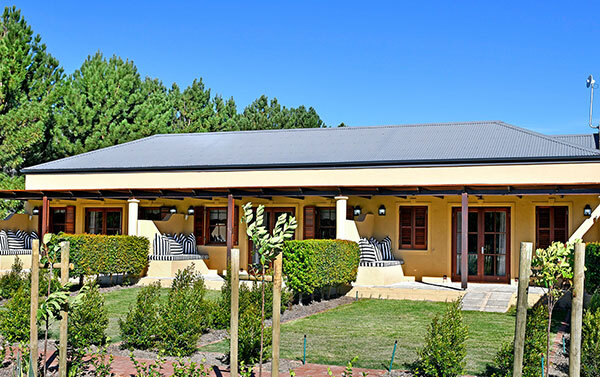 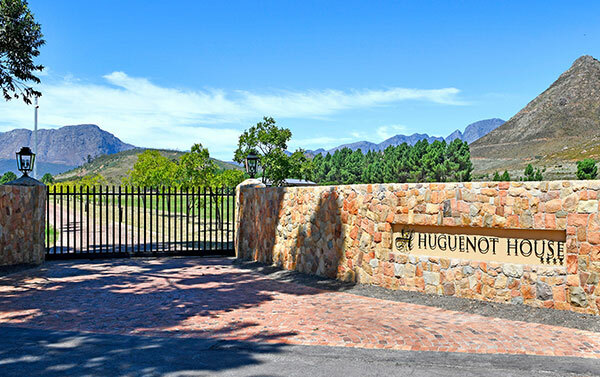 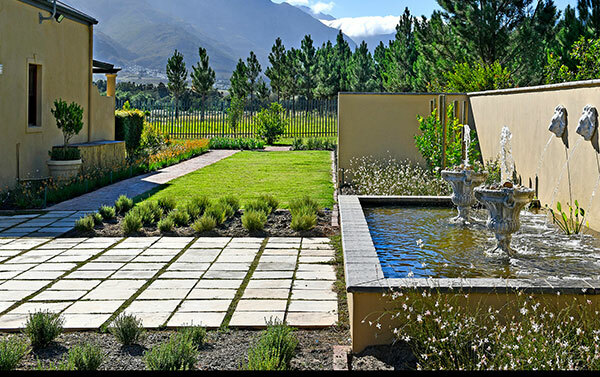 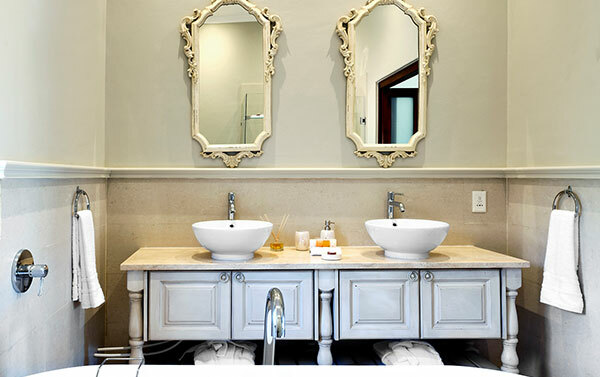 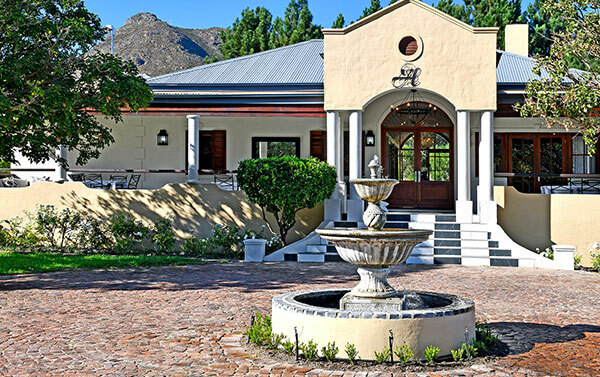 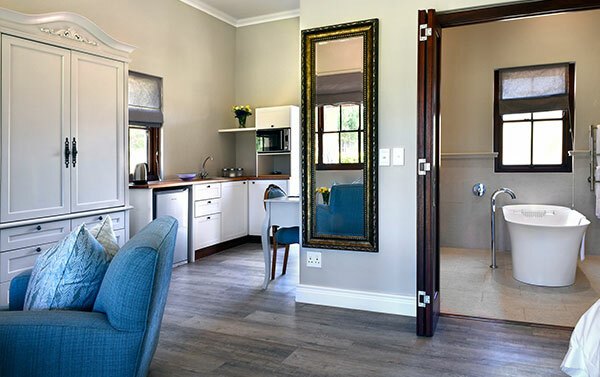 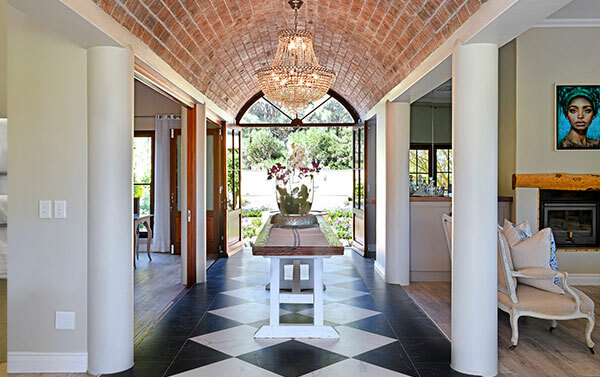 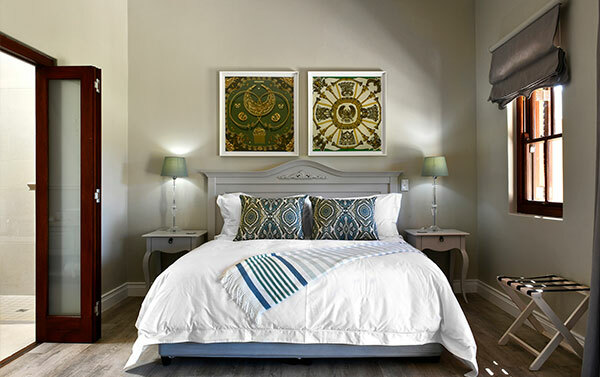 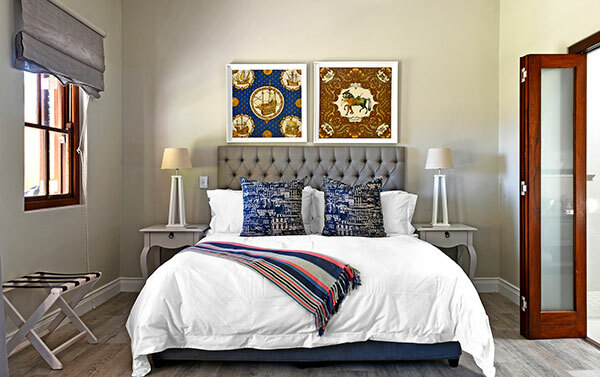 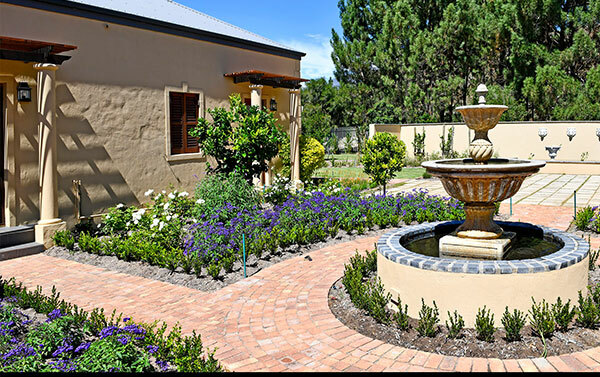 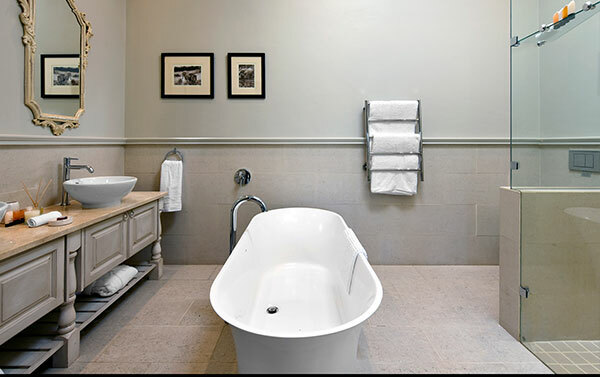 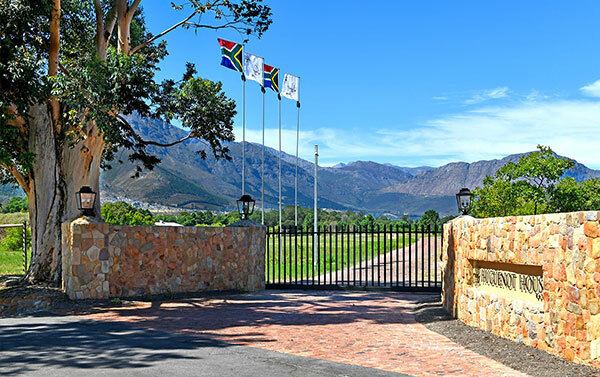 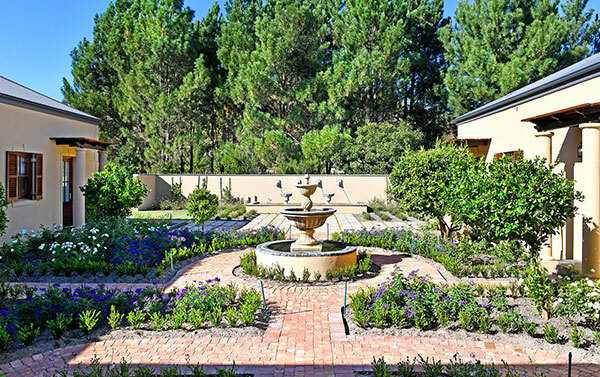 Our luxury guest house is situated near many fine wine estates and a short drive from the bustling village of Franschhoek. 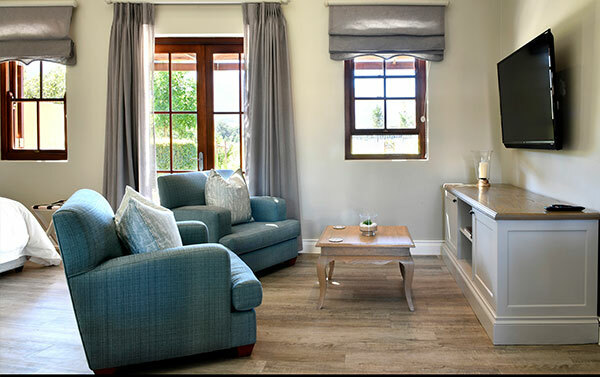 Our selection of six individually styled suites awaits you. 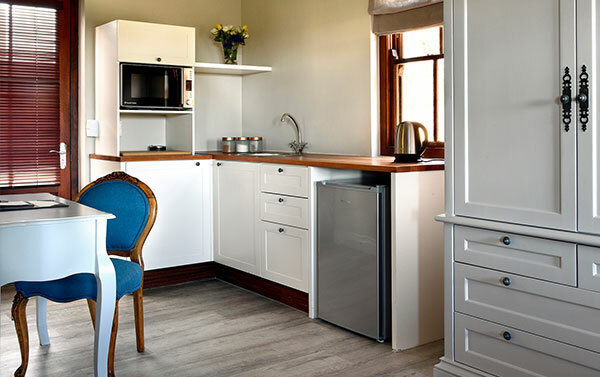 We offer complimentary teas & coffees, fridge, aircon, Wi-Fi and a full English breakfast and buffet offered each morning from the main house with panoramic views. 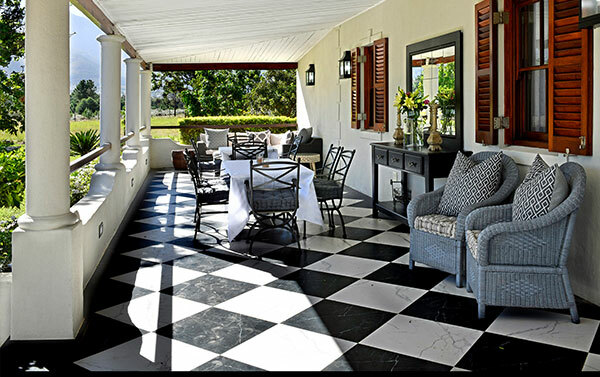 In Summer months you can enjoy your breakfast on the patio and in winter you can dine in the main house.